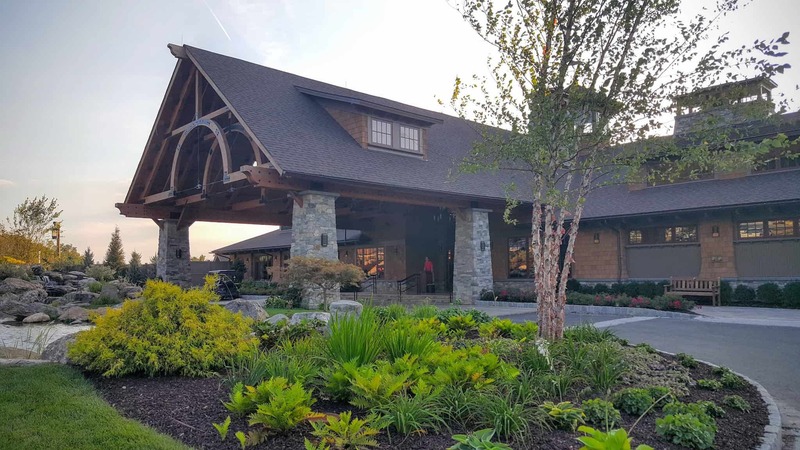 Breathtaking mountain views, an outdoor pool, and fitness center are just a few of the amazing features that GreatHorse Country Club (formerly Hampden Country Club) has to offer. 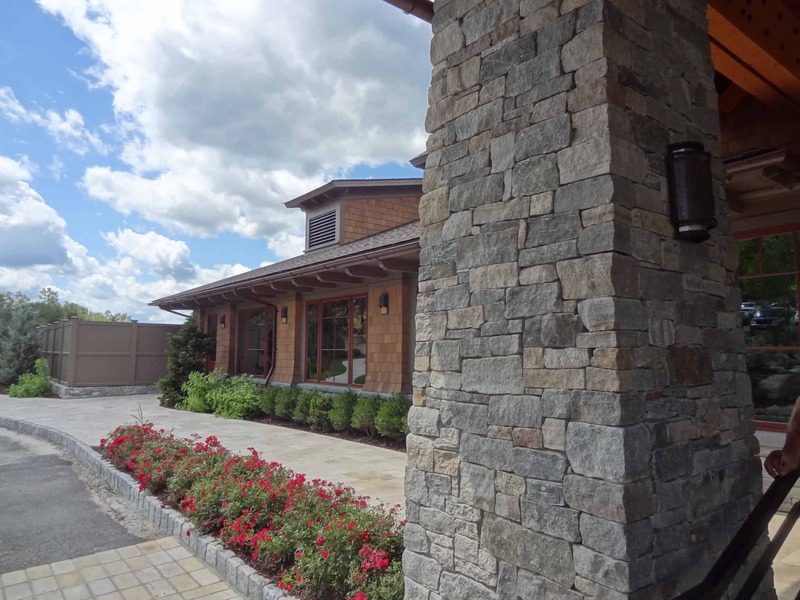 The Antonacci family has truly transformed the extensive property with a brand new clubhouse and an 18 hole course. 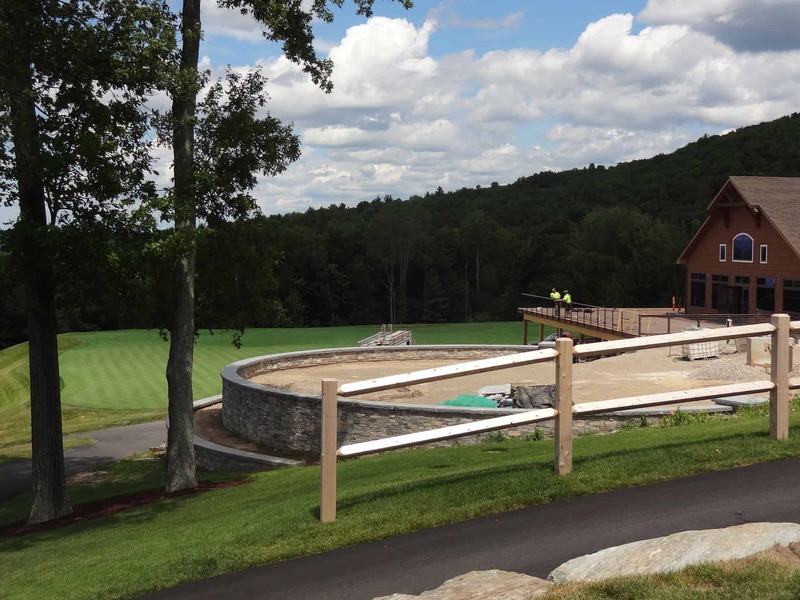 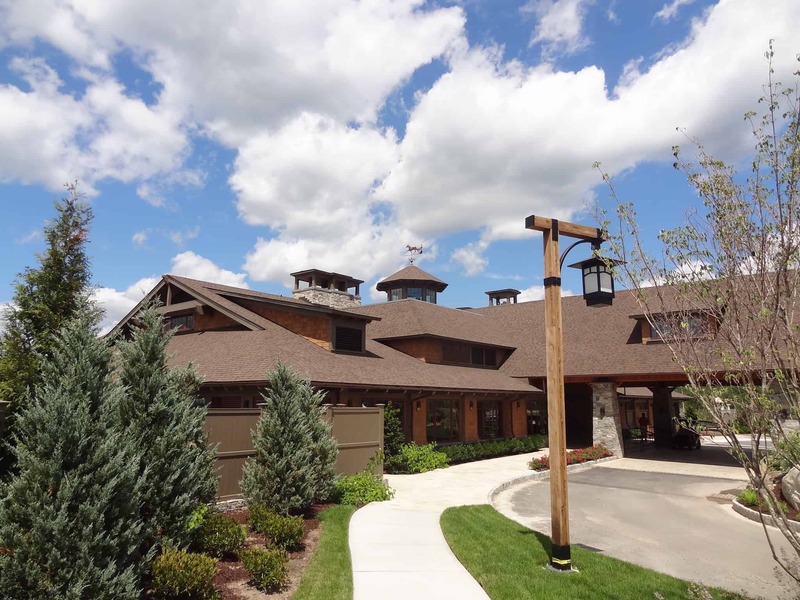 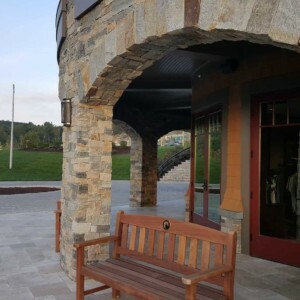 Located in Hampden, Massachusetts, the club strives to create a relaxed and comfortable family atmosphere in the style of a home away from home mountain retreat with rich textures and a warm, inviting atmosphere. 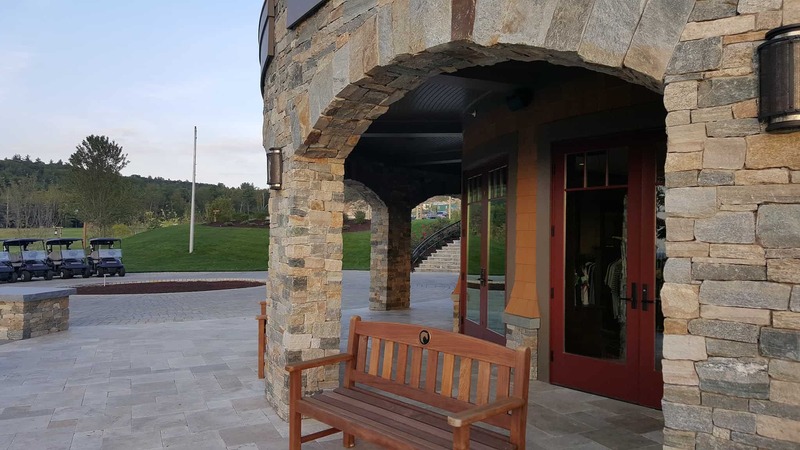 The clubhouse features new amenities such as an outdoor pool, private spa, fitness center, golf simulators, tennis courts, and a fully stocked restaurant and bar. 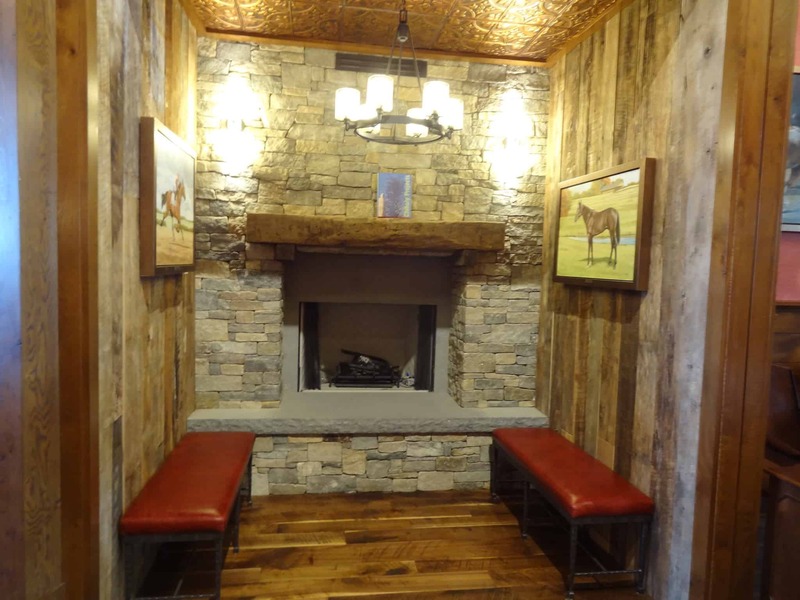 General contractor, C.E. 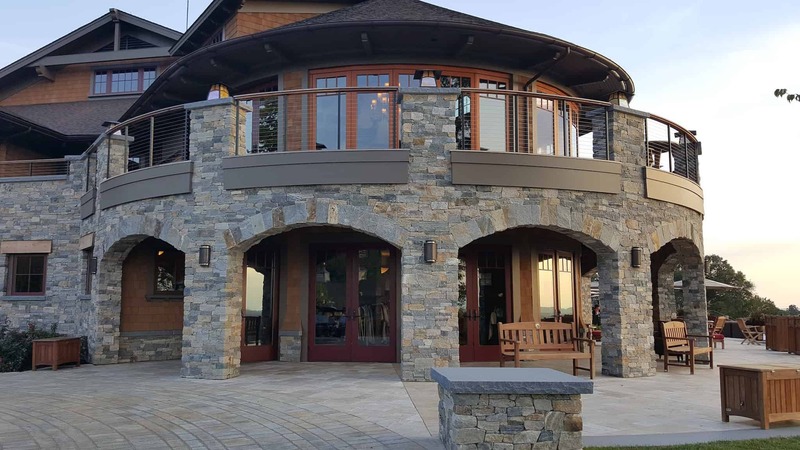 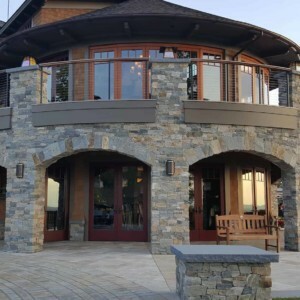 Floyd Company, along with TMS Architects did a wonderful job using all natural Boston Blend Ashlar and Ledgestone thin stone veneer on the interior and exterior of the club to evoke a naturally warm feeling consistent throughout the design. 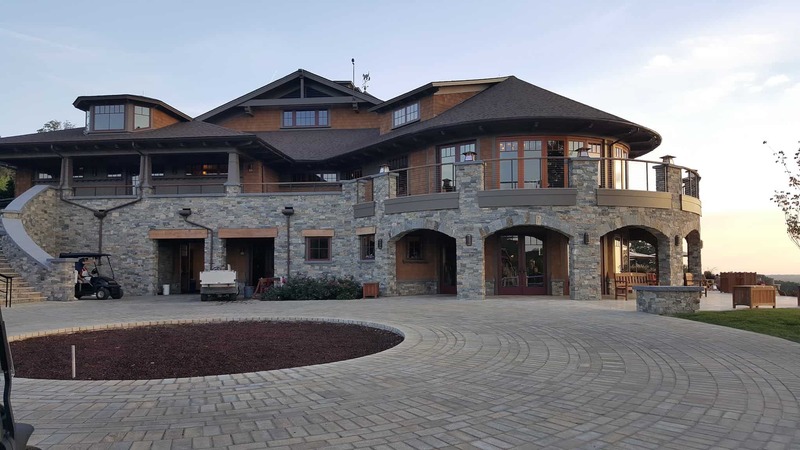 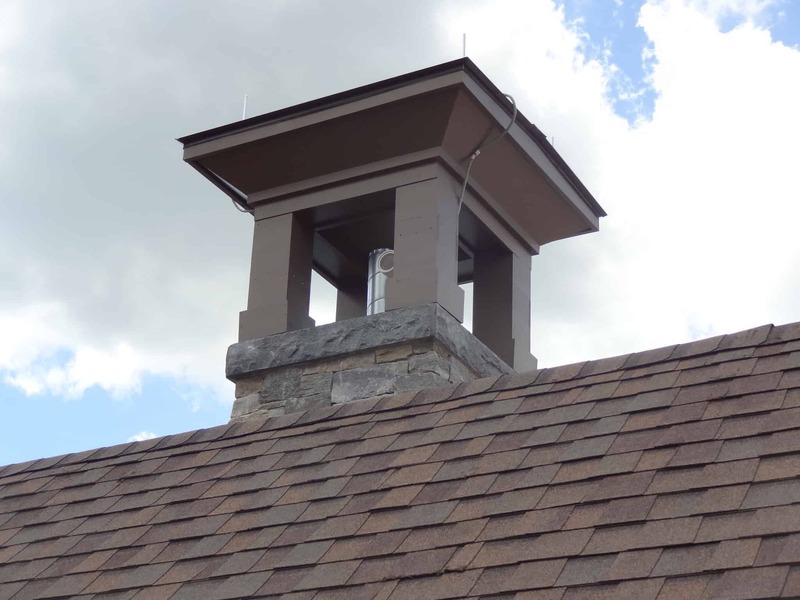 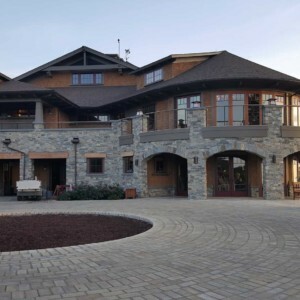 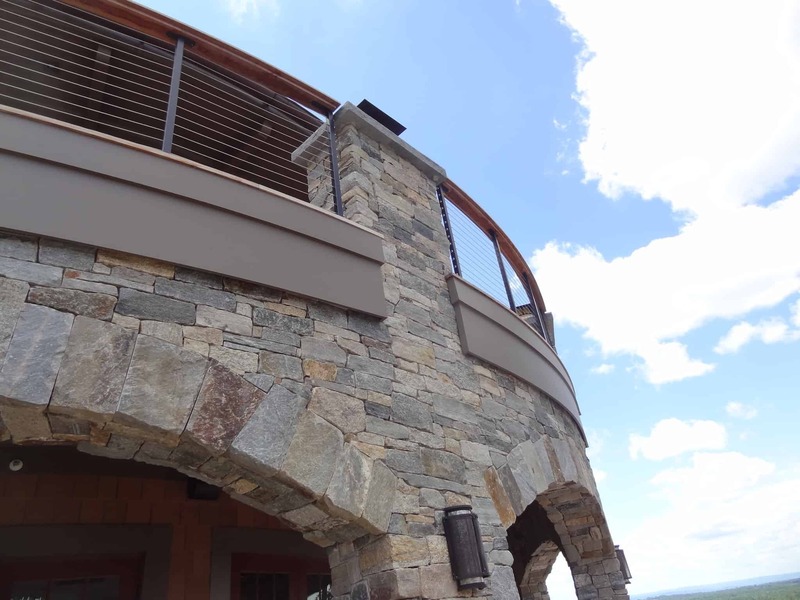 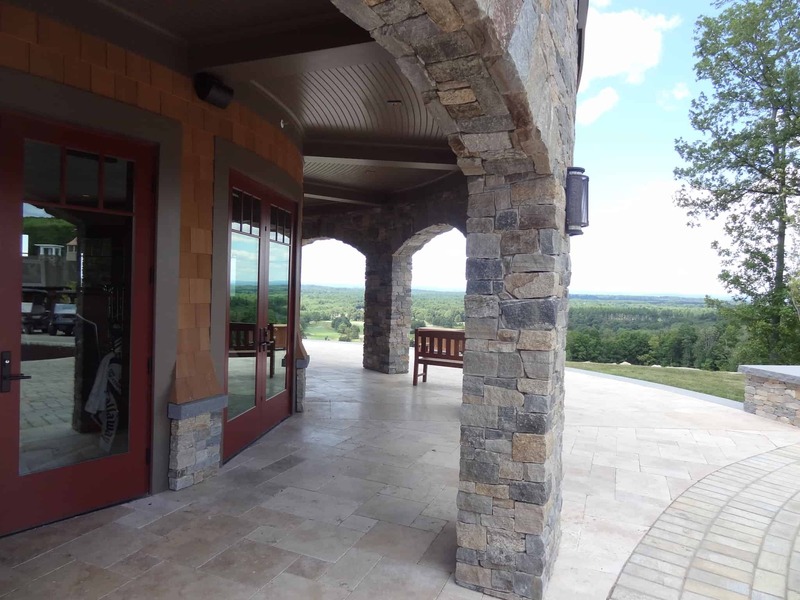 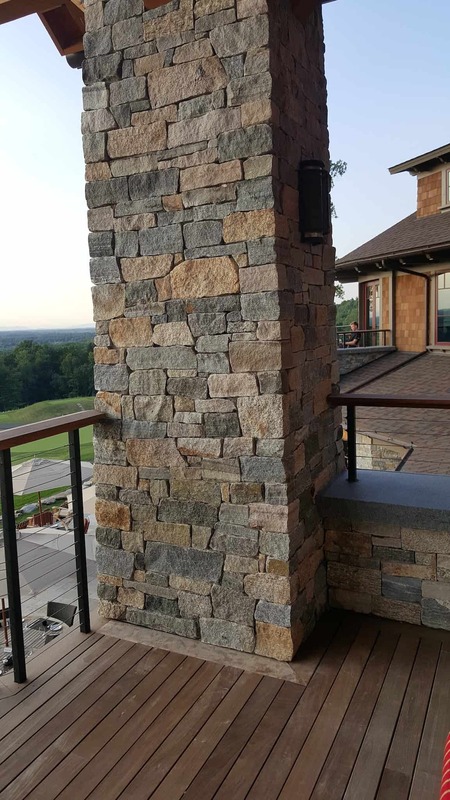 The exterior stone blends perfectly with the breathtaking landscape of mountain views, wetlands, and an expansive golf green. 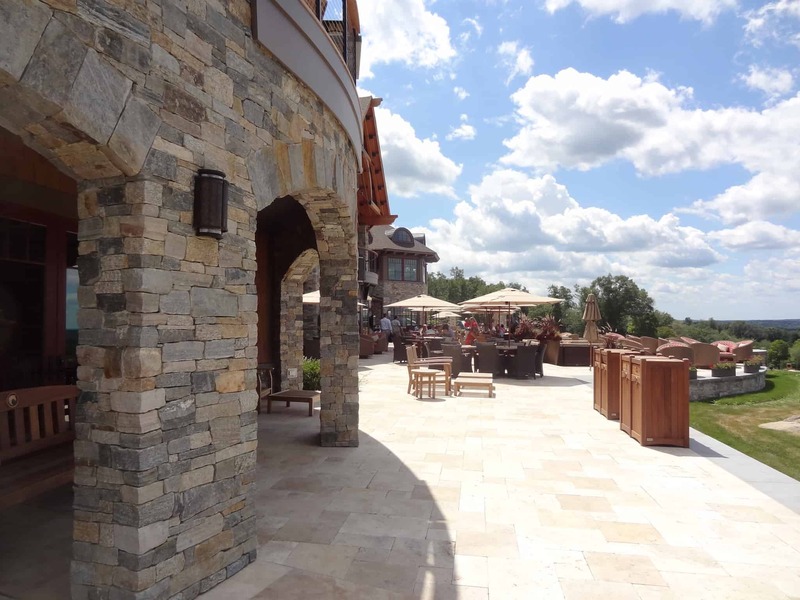 It eloquently wraps around the building in archways and columns, and adds depth to the outdoor pool area in the form of stone pillars. 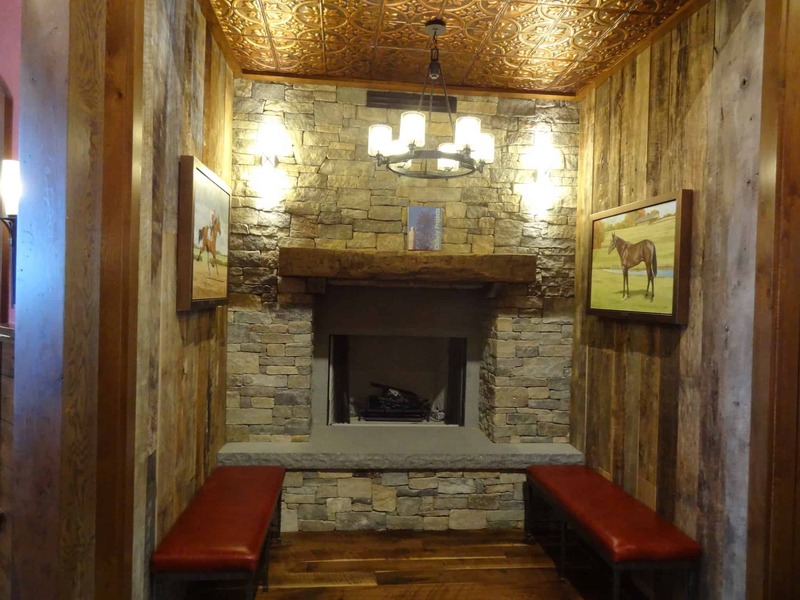 The interior of the club features a warm Boston Blend Ashlar fireplace which pairs nicely with the weathered wooden walls. 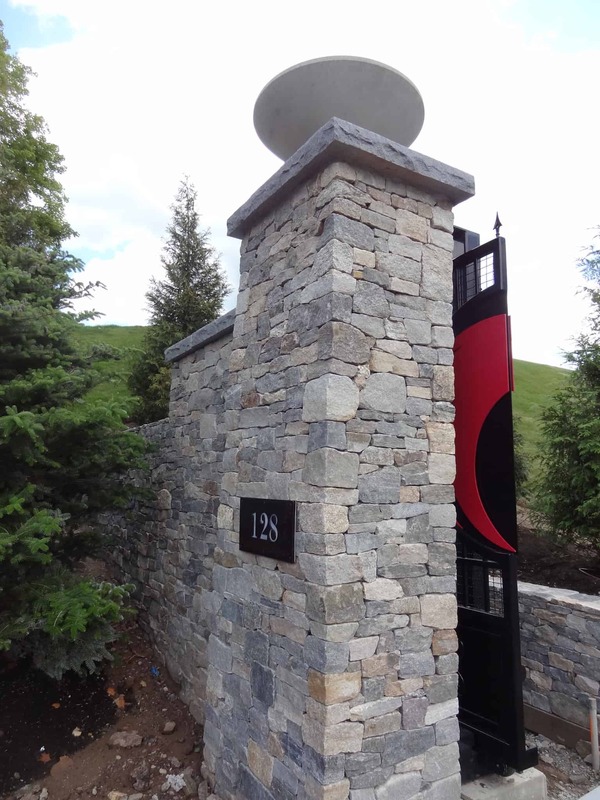 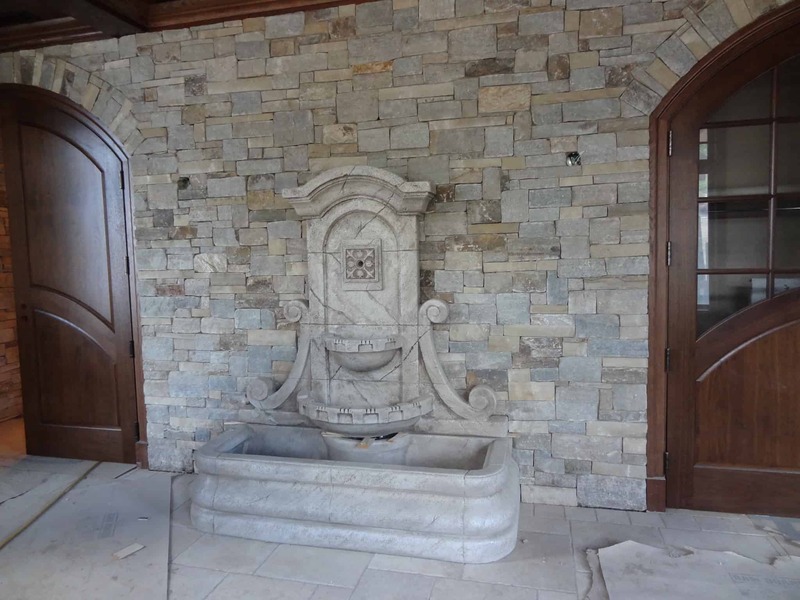 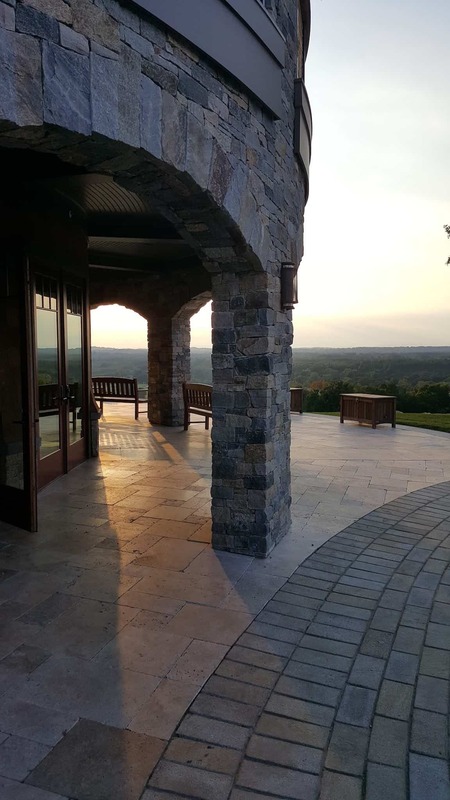 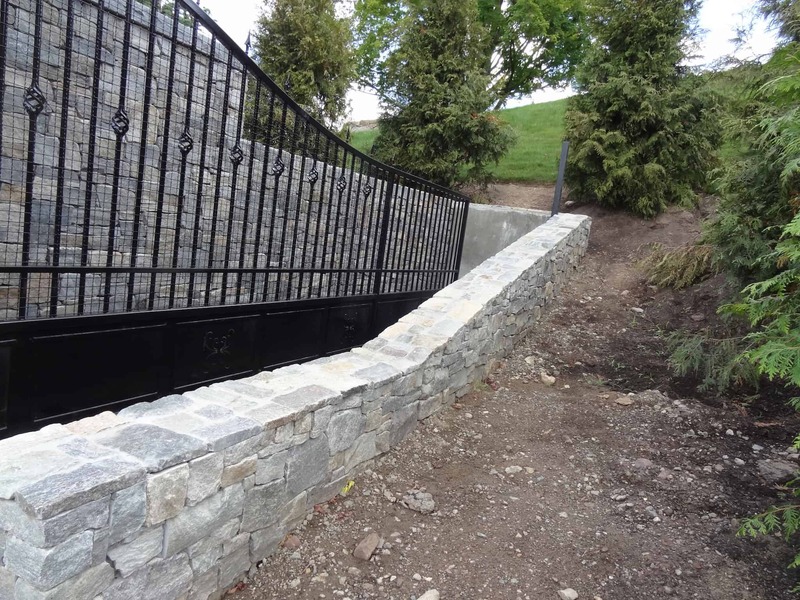 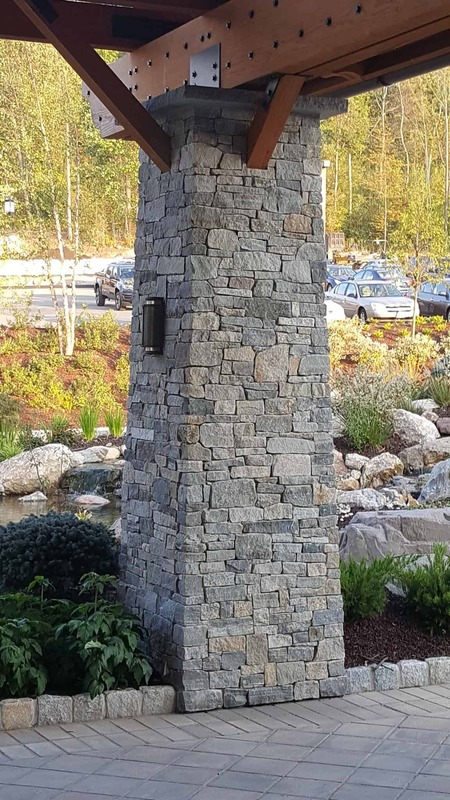 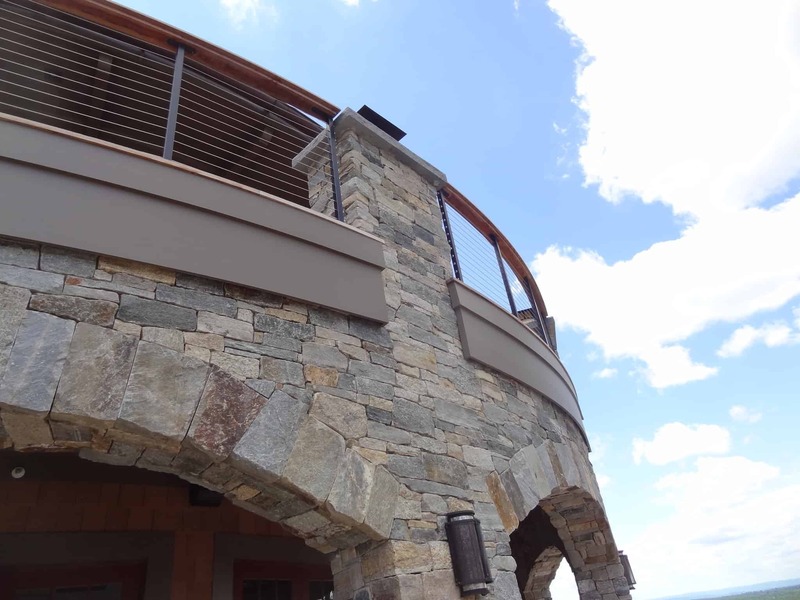 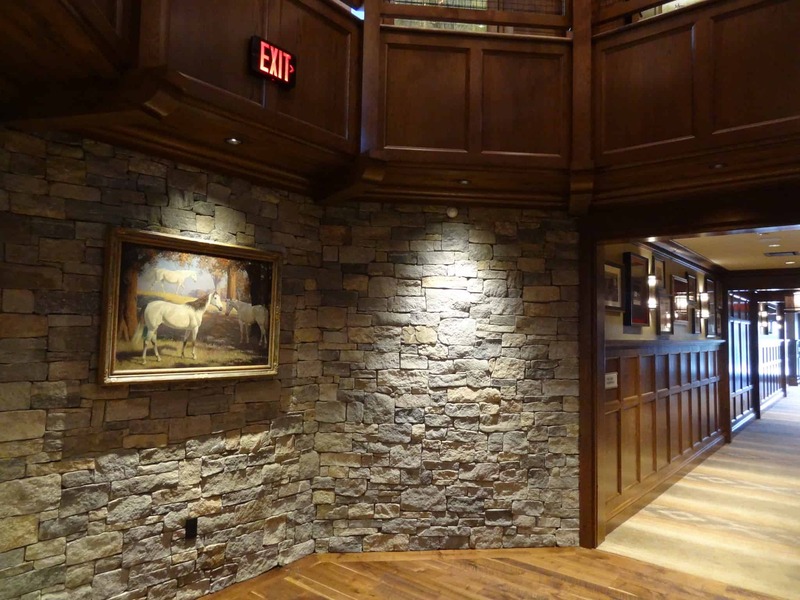 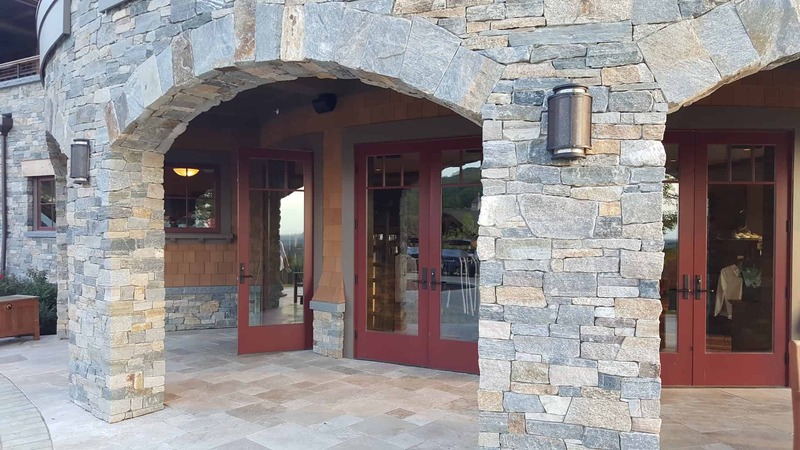 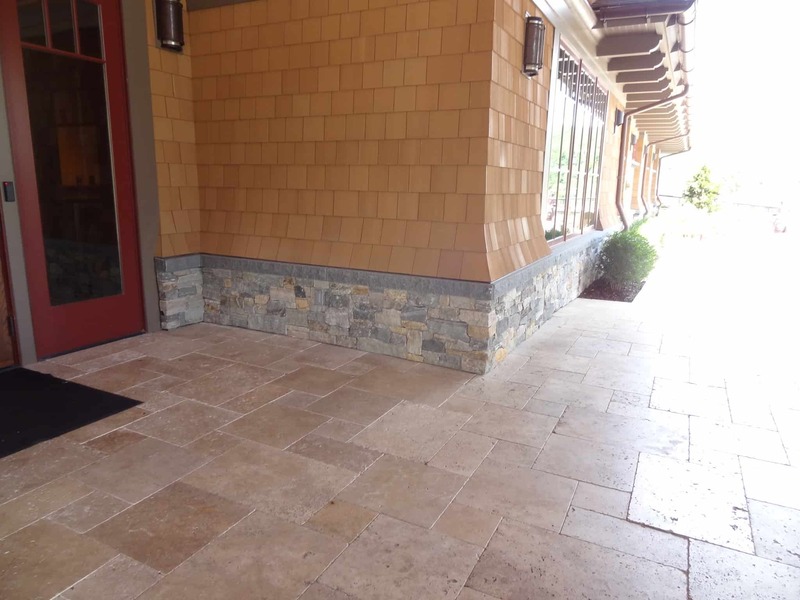 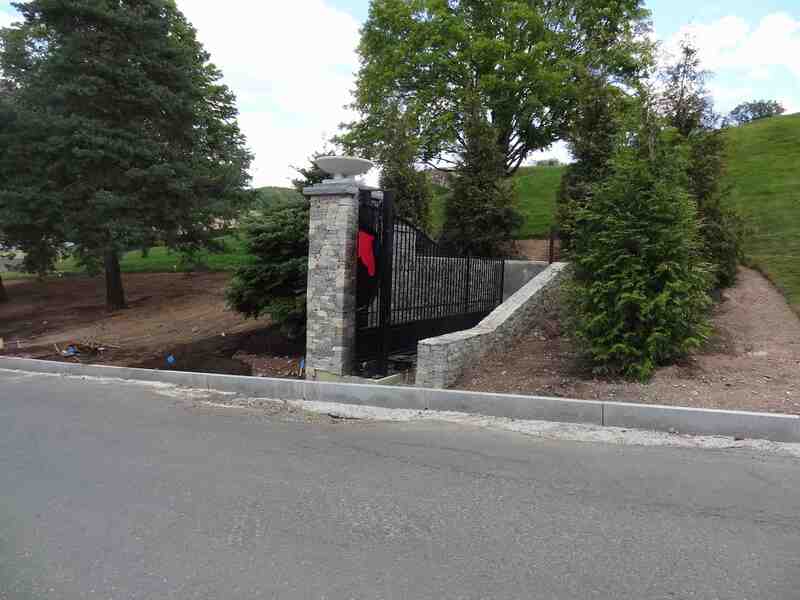 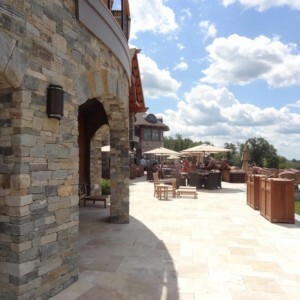 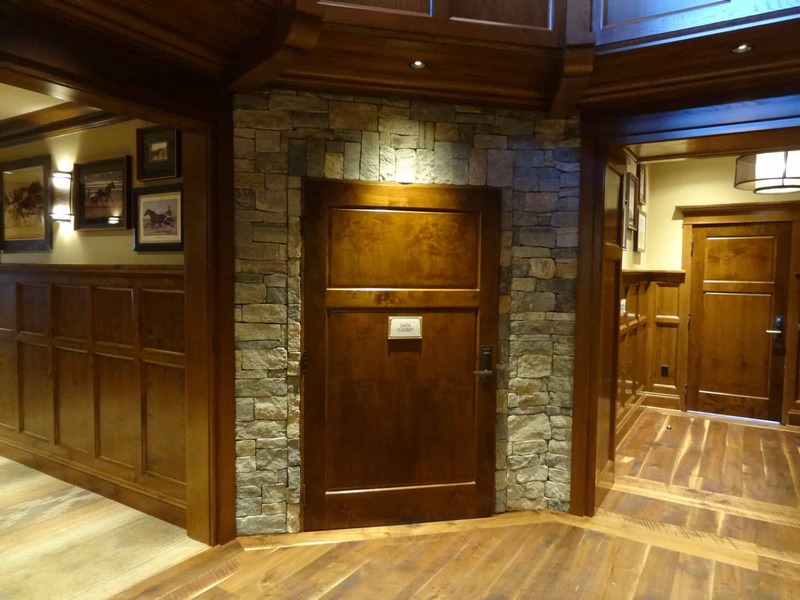 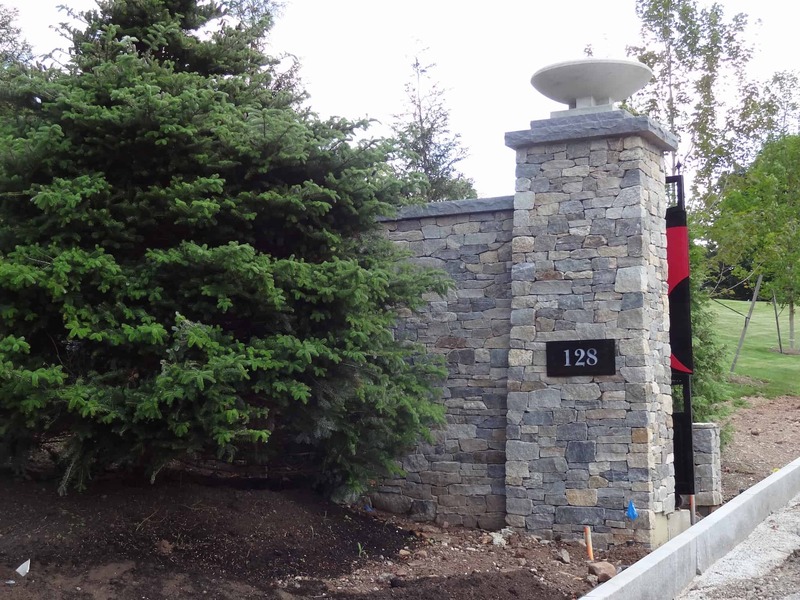 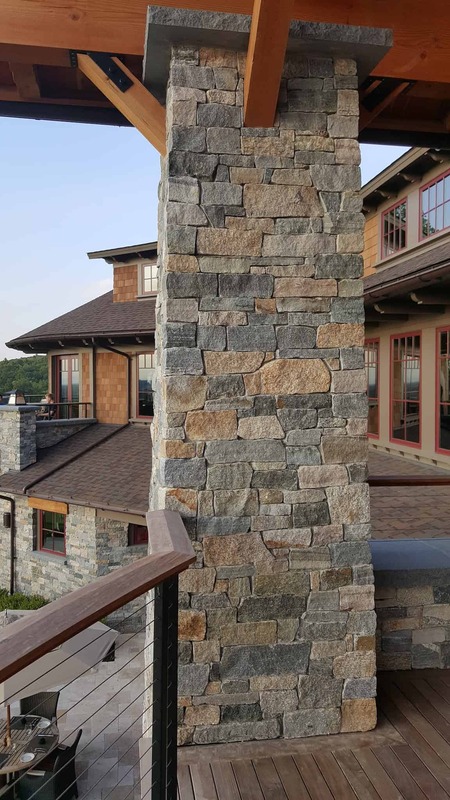 Boston Blend Ashlar is featured on accent walls, columns, and fountains throughout the club to create a comfortably rustic yet eloquent atmosphere.